I love this piece is stand out. Easy to wear but always remarkable. Great with every kind of outfit thanks to its simplicity. Wear it on a t-shirt or v-neck or crossover dress. 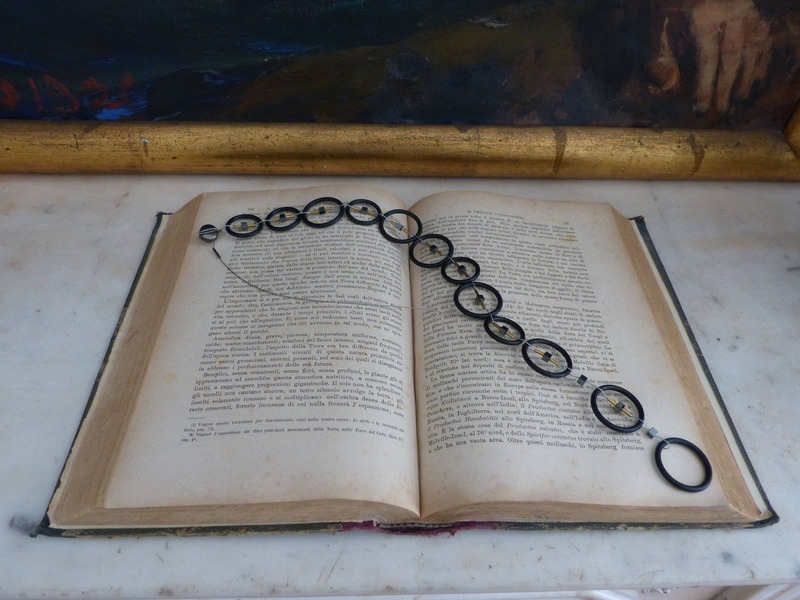 The peculiarity of this necklace is Ultra-light and that when you look at it from a distance it doesn't seam to be a necklace but something that is dropping off. 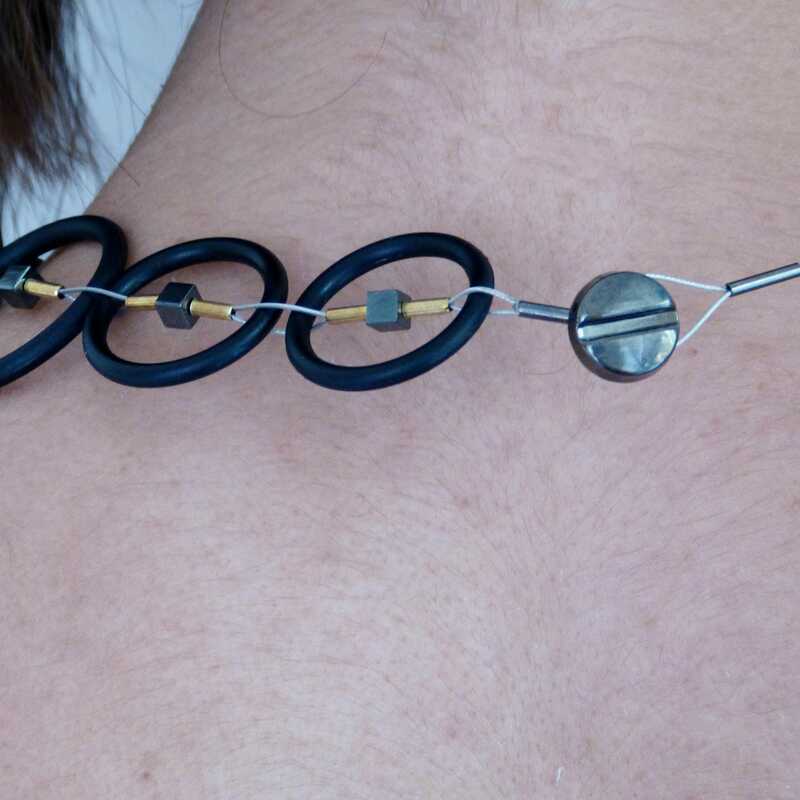 On steel thread for an elegant and safe necklace It's mounted with plastic circle beads, hematite, golded plated beads, real lava sand with resins beads and shiny round metallic ending. Add some Italian style with my original design. 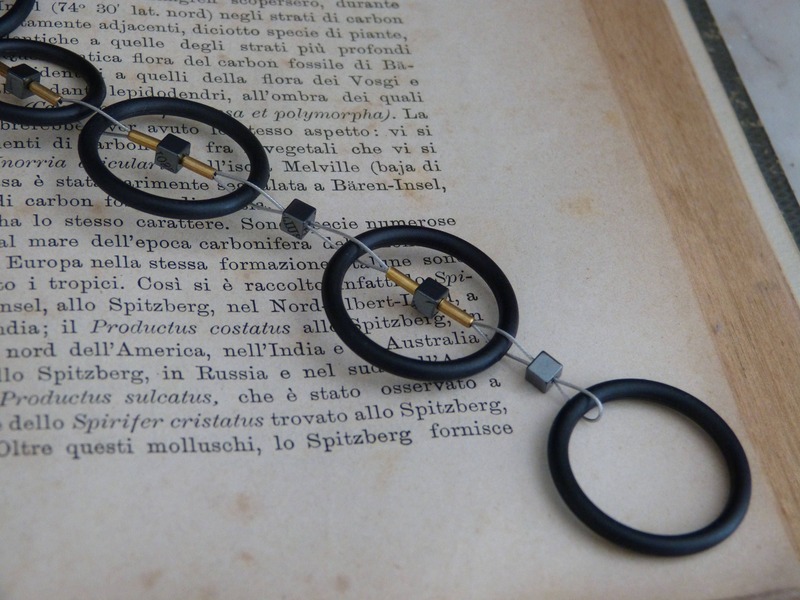 - black matt plastic circle beads, hematite beads, golded plated beads. Would you like a different color?